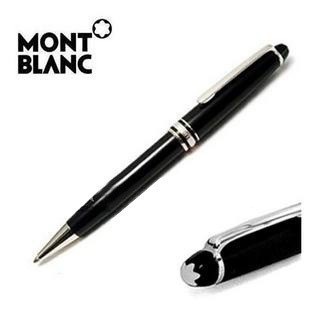 Online Shopping ia available for a variety of branded watches and pens. 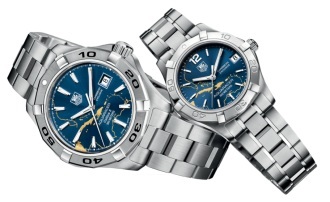 Brands include Tag Heuer Watches , Mont Blanc Pens , Tissot Watches , Longines Watches ,Rado Watches , Longines Watches and other selected branded watches and pens. All watches purchased from us are guaranteed genuine articles, brand new and in their original condition with serial number. 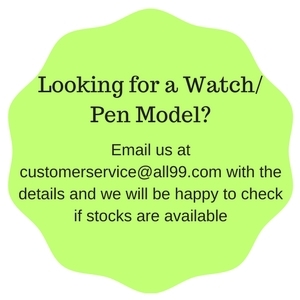 All Watches and Pens are available for delivery for anywhere in the world. However, you will need to email us at customerservice@all99.com to check with us for stock availability and the shipping cost.